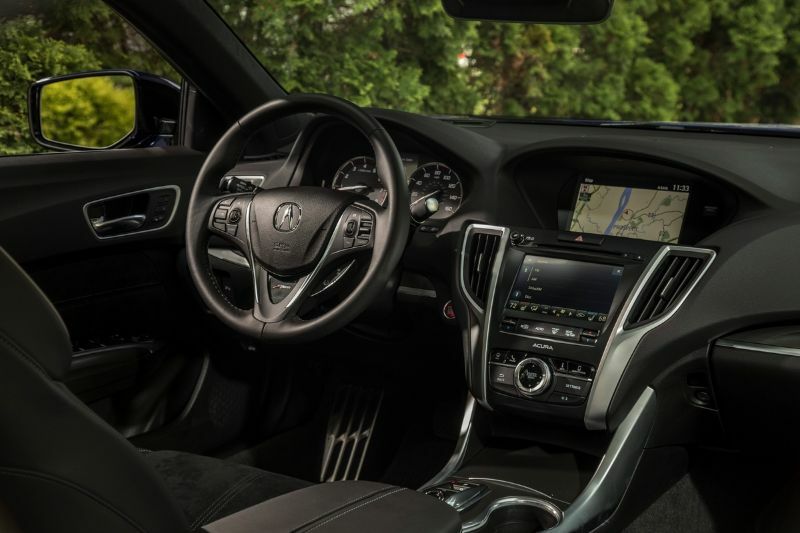 The 2019 Acura TLX is a luxury mid-size sedan that offers drivers a responsive infotainment system, a refined and quiet ride, and a long list of standard safety features. Whether taking your family around town or heading out on a solo adventure, you’ll find plenty of comfort features in the vehicle. The model is very similar to the previous year and is available with your choice of two engines with up to three trims for the base engine. Further customization comes from various option packages and even has available an all-wheel drive with the upgraded engine. 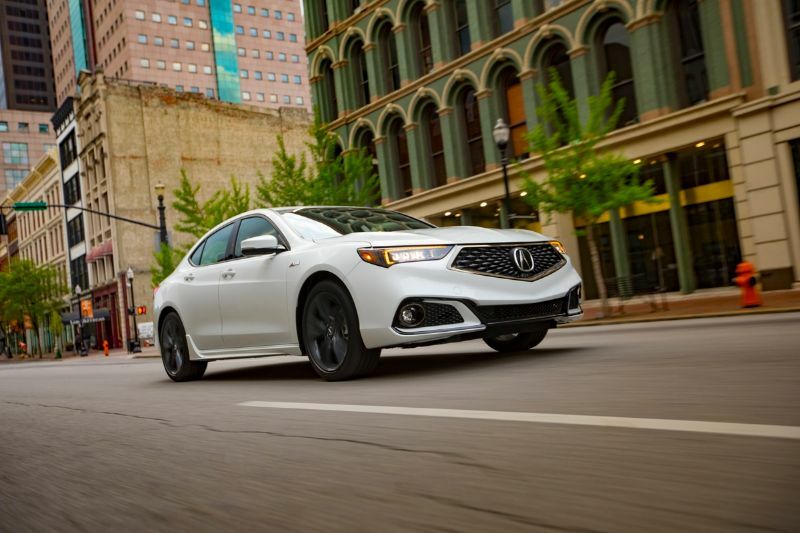 Although the 2019 Acura TLX offers two engines, neither can necessarily be considered a performance-oriented one. The 2.4-liter four-cylinder engine delivers 206 horsepower and 182 pound-feet. However, the 3.5-liter V6 ups the output to 290 horsepower and 267 pound-feet. The base engine works with an eight-speed dual-clutch automatic while the V6 has a nine-speed automatic. While the base engine comes only with front-wheel drive, the V6 offers either a front-wheel drive or an all-wheel drive. 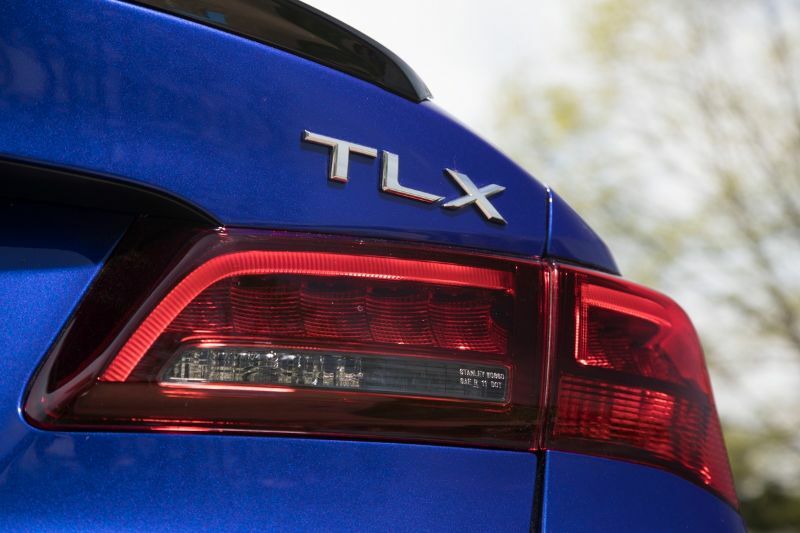 The TLX delivers a very respectable fuel economy for 2019, up to 23 mpg in the city, 33 on the highway, and 27 combined with the four-cylinder engine or 20, 31, and 24 mpg, respectively, with the V6 and front-wheel drive. Going with the all-wheel drive only bumps down the highway rating just by 1 mpg. 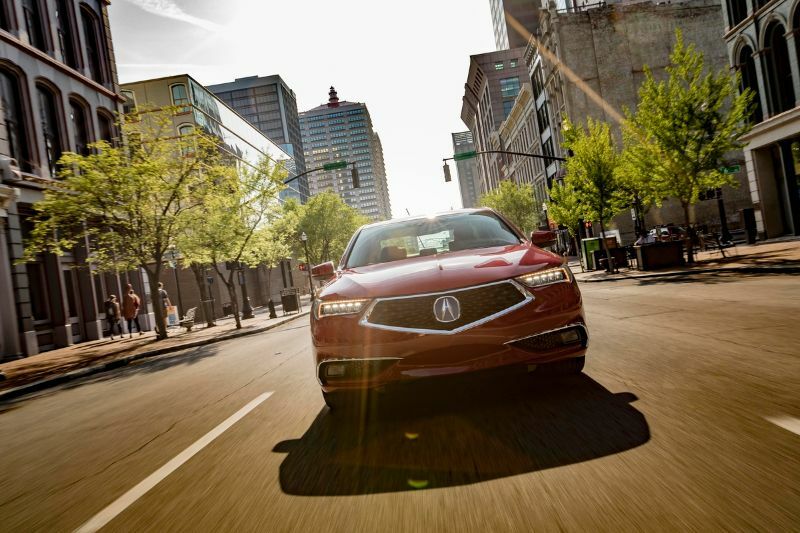 One area where the 2019 Acura TLX stands out is its high level of standard features and range of options. All TLX models come with keyless ignition and entry, LED headlights, a sunroof, simulated leather upholstery, heated and power-adjustable front seats, and dual-zone automatic climate control. In terms of technology, this luxury midsize sedan always has at least an 8-inch upper display screen and a 7-inch lower display screen. It also offers Bluetooth, Android Auto, Apple CarPlay, a USB media interface, Siri Eyes Free, satellite radio, and seven speakers. The Acura TLX has impressive safety features as standard, including the AcuraWatch. This includes lane departure warning with intervention, road departure mitigation, automatic emergency braking, forward collision warning, automatic high-beam control, and adaptive cruise control. With these features working for you, you can expect to arrive at your destination in comfort and with less stress. For those who want more from their 2019 TLX, this Acura has multiple packages to choose from. The Technology Package adds leather upholstery and climate control that adjusts based on sun direction. It also adds automatic wipers, blind spot monitoring, rear cross-traffic alerts, and 10 speakers to enhance your listening experience. 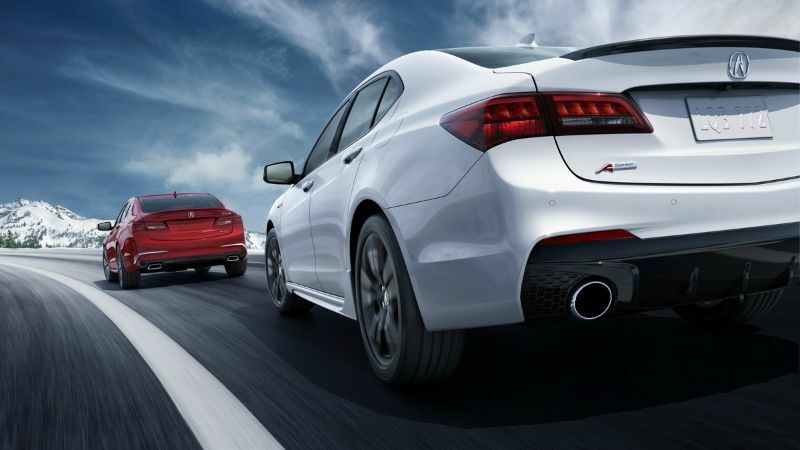 For those who want some sportier elements, the Acura TLX A-Spec adds a decklid spoiler and lower diffuser. It also adds dual exhaust, LED fog lights, matte-black grille, 19-inch wheels, and simulated suede seat inserts for increased comfort. The 2019 TLX can also include parking sensors, ventilated front seats, heated rear outboard seats, touchless (un)locking plus trunk opening, a heated windshield, and more. All packages create a cabin that is driver-centered, with comfort as a primary focus.